Like most people who remember Jurassic Park in 1993, I was excited to see the new trailer for Jurassic World, the fourth movie in the franchise. I loved the first movie and Lost World has a special place in my heart, mainly for the “San Diego” scenes that took place in downtown Burbank. I ended up moving near there two years after the movie so it was fun to see the locations in person. Why did they catch my eye? 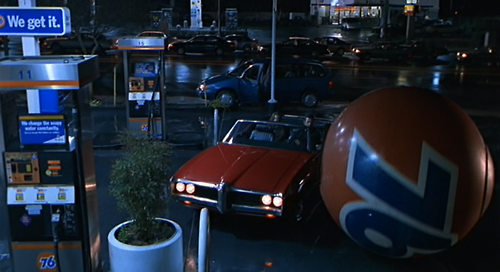 Because it immediately reminded me of the rolling 76 Ball from The Lost World – easily my favorite bit along with the kid seeing the T-Rex in his backyard. I’m just hoping that the movie is as good as the first movie rather than as good as the third movie.. This entry was posted in Movies General on November 25, 2014 by clubjosh.